I like the sepia on this. It works really well as does the composition. Stinky sneakers? Great find & super shot. Great toning for a lovely nostalgic mood and atmosphere. Love the texture in the sneakers. 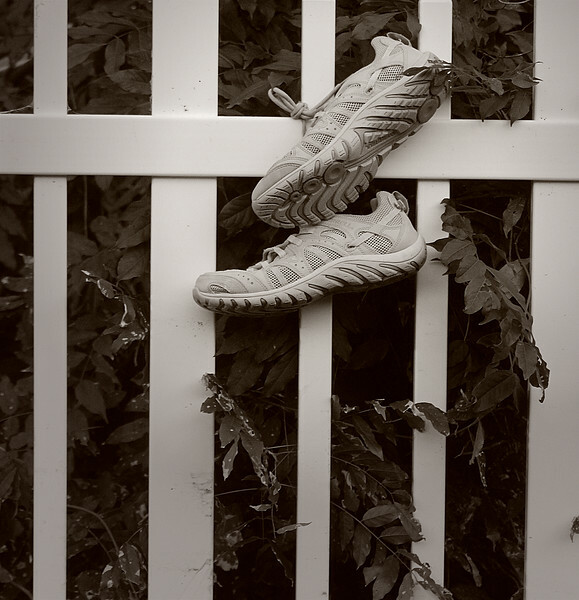 This is such a fun shot, the sneakers really pop out to the viewer and the desat on the leaves gives it a nostalgic mood.